BattleBrew Productions, a new game developer based in Singapore announced that it has raised its first angel funding from Emerio’s CEO Harish Nim. Similarly based in Singapore, Emerio Corp is an IT service provider that is a subsidiary company of NTT-Docomo, one of Japan’s largest telco operator. The funding amount was undisclosed but BattleBrew will use the newly-raised capital to fund the development of its first game under the working title Wyldeweavers. It is said to be a free-to-play mobile strategy game for the iOS and Android platforms. 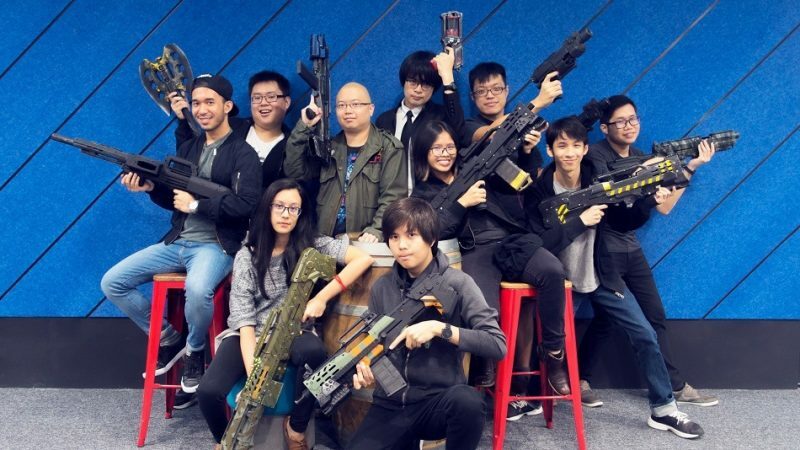 Launched earlier in February 2017, BattleBrew is made up by a team of 12 veteran game developers from Singapore, including Benjamin Chua, Louis Cua, and Greyson He who have previously worked at Ubisoft, developing triple AAA titles such as the Assassin’s Creed series. Meanwhile, other members of the team have also worked in big-name gaming companies such as Gameloft and Sea (previously known as Garena). Leading the team is CEO Shawn Toh who has worked as the game designer for Nubee and Gumi Asia, as well as being the associated producer at the Game Lab of the Singapore University of Technology and Design. “The industry is pretty close-knit, so once we had an idea for a game we really wanted to work on, it was an easy decision. We have a lot more ownership in what we make, especially for the guys or girls who came from triple-A studios,” Toh explained. The team is also supported by Elicia Lee, the founder of Singapore gaming convention GameStart Asia and Ian Gregory Tan, the creative director of Witching Hour Studios which became a crowdfunding sensation with its RPG title Masquerada: Songs and Shadows. On the other hand, there has also been a rise of immersive VR entertainment in Southeast Asia’s gaming scene. In June, Havson group has introduced EXA Outpost, the first hyper-reality gaming theme park in Malaysia.